At such a time as this, we become even more aware of the need for messengers of God's love and instruments of His healing. We realize again, with renewed urgency, our personal call to help others encounter God's transforming, life-giving love and to defend the sanctity of every person's life, at every stage and in every circumstance. We are called and sent to be messengers of God's love, treating one another as cherished and chosen by Him. In doing so, we help build a culture that respects all human life. The Body of Christ needs you. The world needs you." 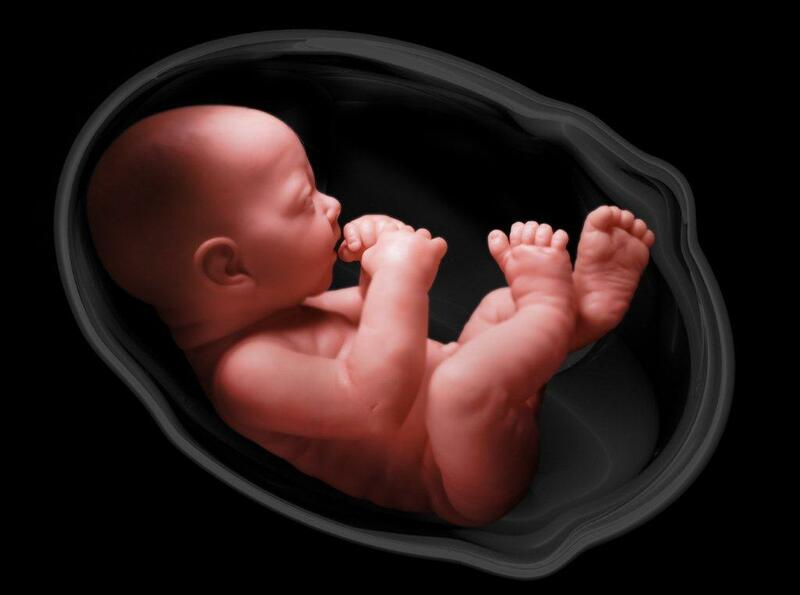 Respect Life Month is observed annually in October. 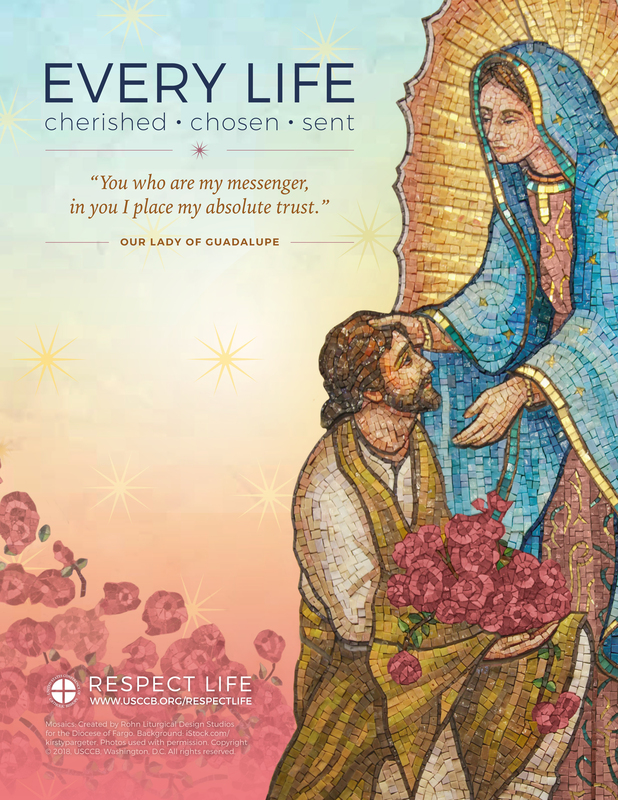 This year's theme, "Every Life: Cherished, Chosen, Sent," is featured October 2018 - September 2019. 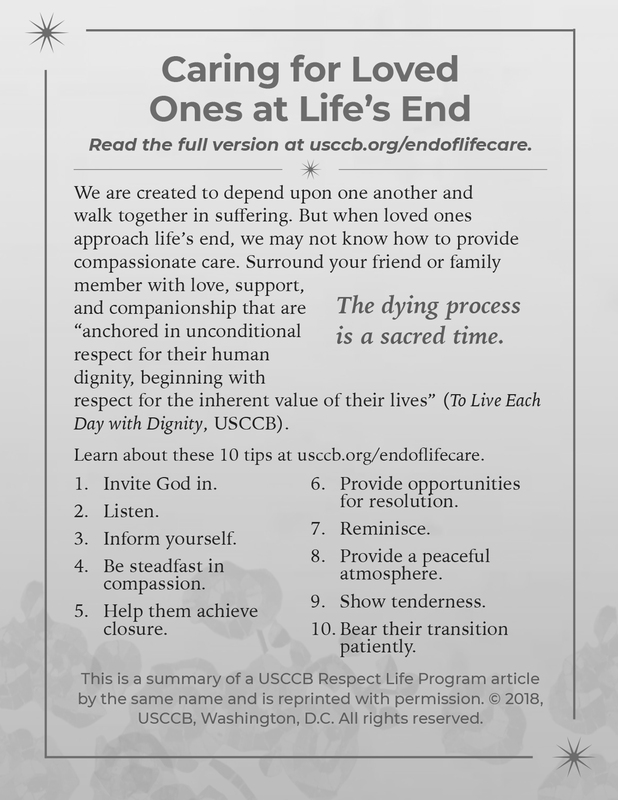 We've highlighted several resources on our Respect Life Month page, and we invite you to continue using these and other materials throughout the year. 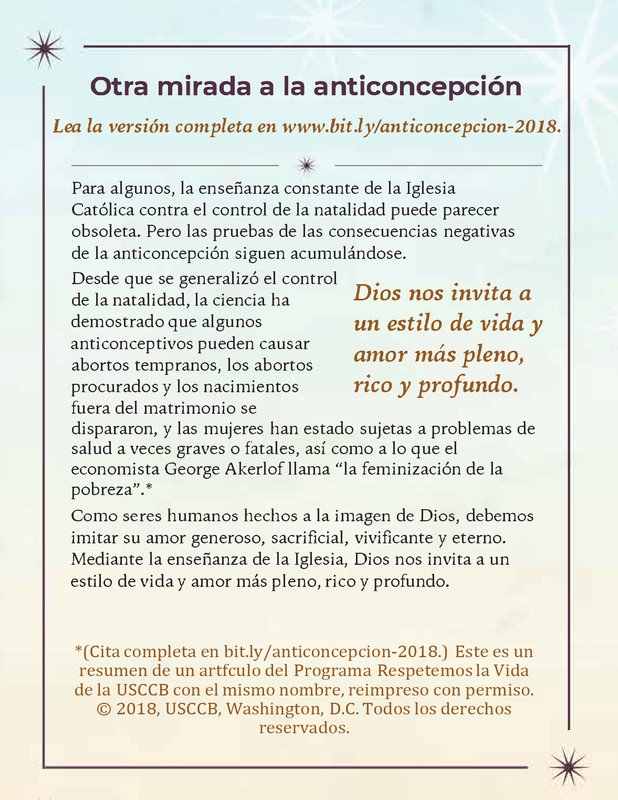 More 2018-2019 Respect Life Program materials are available from www.usccb.org/respectlife. Although sponsored by the U.S. Conference of Catholic Bishops, the Respect Life Program is essentially comprised of the efforts of leaders throughout the Church like you—parish priests, staff, and volunteers; teachers and school administrators; diocesan leaders; and so many others. The U.S. bishops produce these materials to assist you in your efforts. Instead of acting as stand-alone resources, they are designed to be brought to life as tools in your hands—build off or adapt them to fit your specific needs! 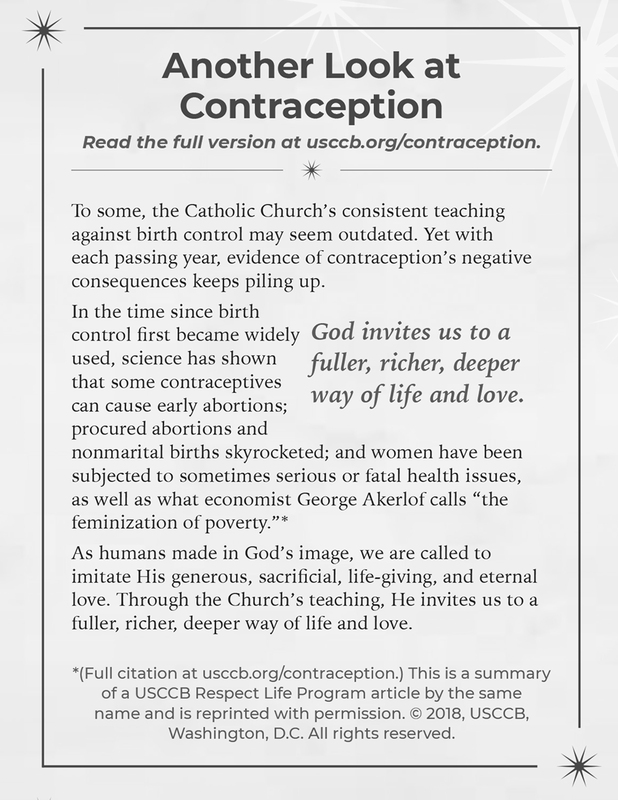 For free digital resources, visit www.usccb.org/respectlife. The Respect Life Program materials are intended to help leaders integrate respect for human life into their respective work and/or ministries. Action ideas and customized suggestions are provided in the leaders' toolkits, but anyone is welcome to build off or adapt what is offered. Specific dates are sometimes recommended for a particular resource (like homily helps), but any of the materials can be used at any time—after all, we cherish God's gift of life year-round! Also, we recommend that you build off the current theme, which we're highlighting from October 2018 – September 2019: "Every Life: Cherished, Chosen, Sent." 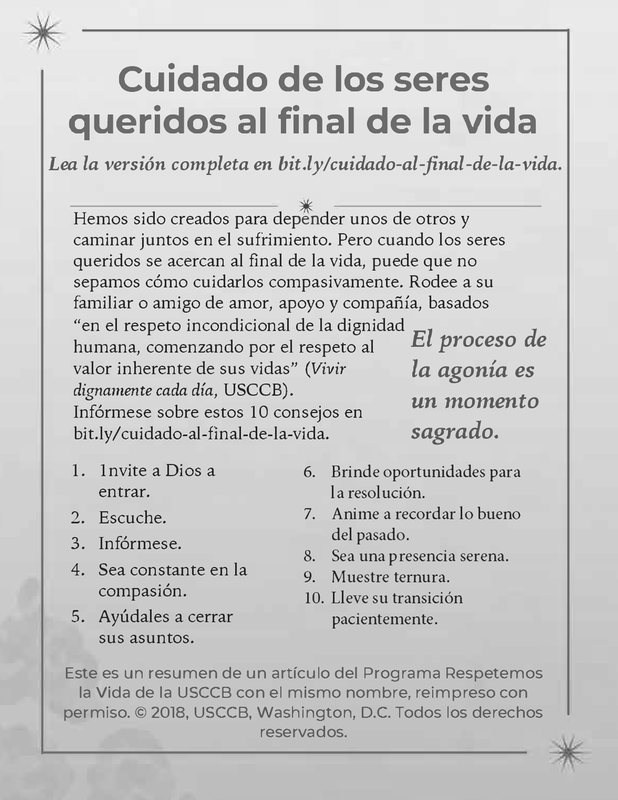 However, if something from a previous Respect Life Programis helpful, you're still welcome to use it! Visit our "Articles & Resources" page, scroll through the page, and click what you'd like to preview. May I reproduce text from the 2018-2019 Respect Life Program? Reprinted (excerpted) from Respect Life Program, copyright © 2018, United States Conference of Catholic Bishops, Washington, D.C. All rights reserved. 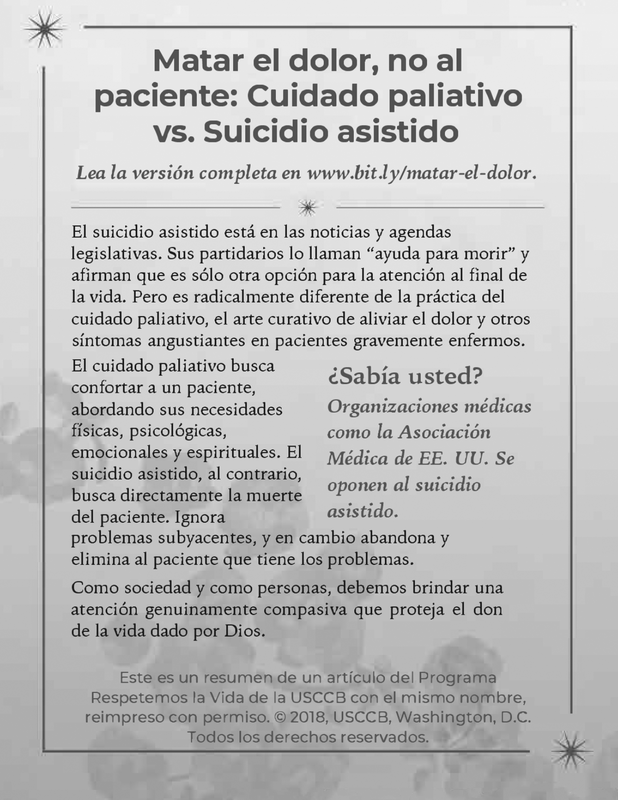 Each webpage for the articles and reflection have Microsoft Word files posted in English & Spanish that may be reproduced without further permission, provided the guidelines for reproducing text are followed. The Respect Life Month statement from Cardinal Dolan, Chair of the USCCB Committee on Pro-Life Activities, will be posted on the Respect Life Month page as soon as it is available. 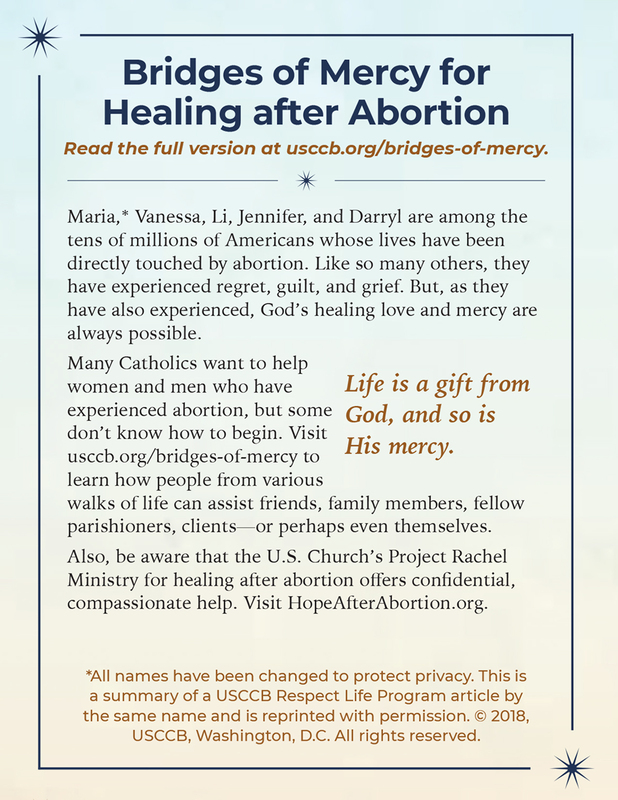 You can either order print versions of the 2018-2019 Respect Life Program materials from the USCCB Store, or download them for free from our "Articles & Resources" page! 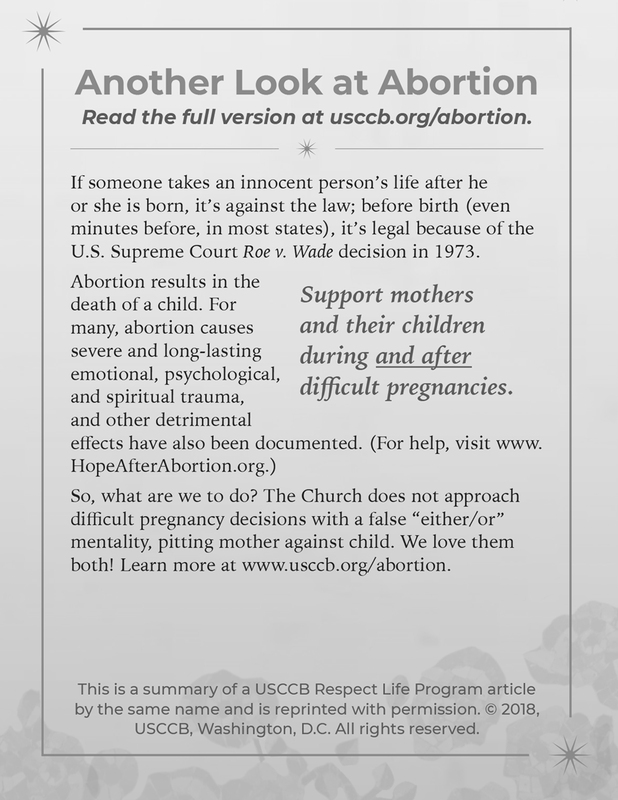 Additional, online-only resources like Respect Life images can also be found on the same page. Each year, a new set of articles on life issues is published in a variety of formats. 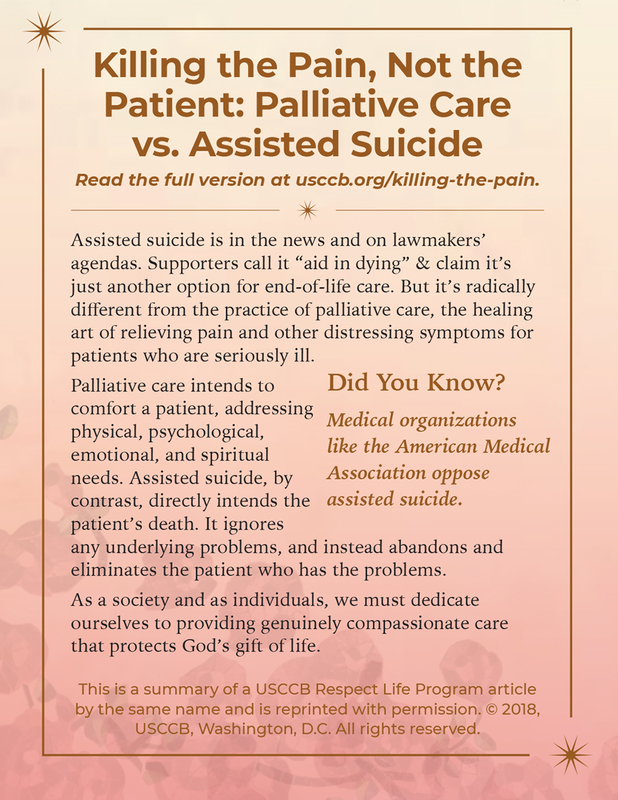 Order hard copies, view online, or download as double-sided flyers (perfect for bulletin inserts)! 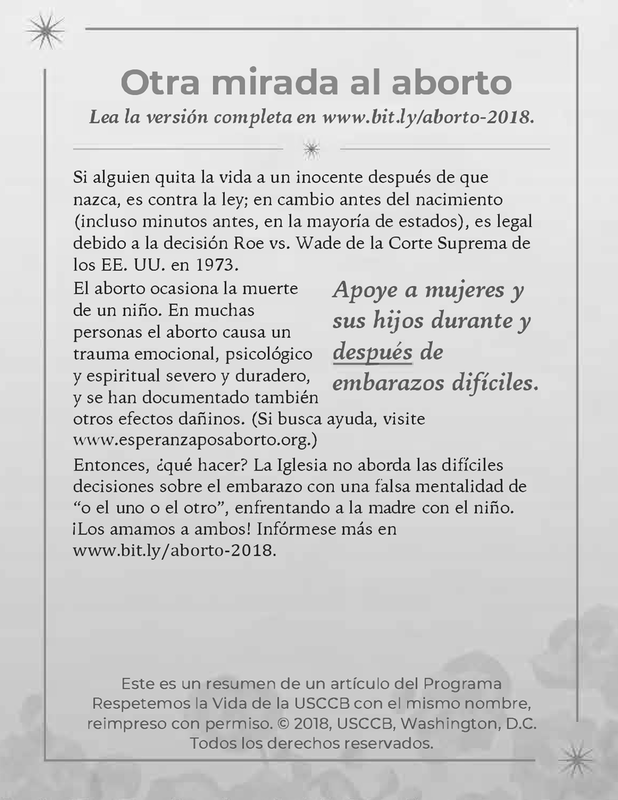 Printable Flyers: Please reproduce each article in its entirety without any alteration or change. Text: Article text may be reproduced in whole or in part without alteration or change without further permission, provided such reprints include proper attribution, as specified in these guidelines. Full-color, double-sided summary sheet featuring the 2018-2019 materials and abbreviated, 1/4 page versions of the six articles. 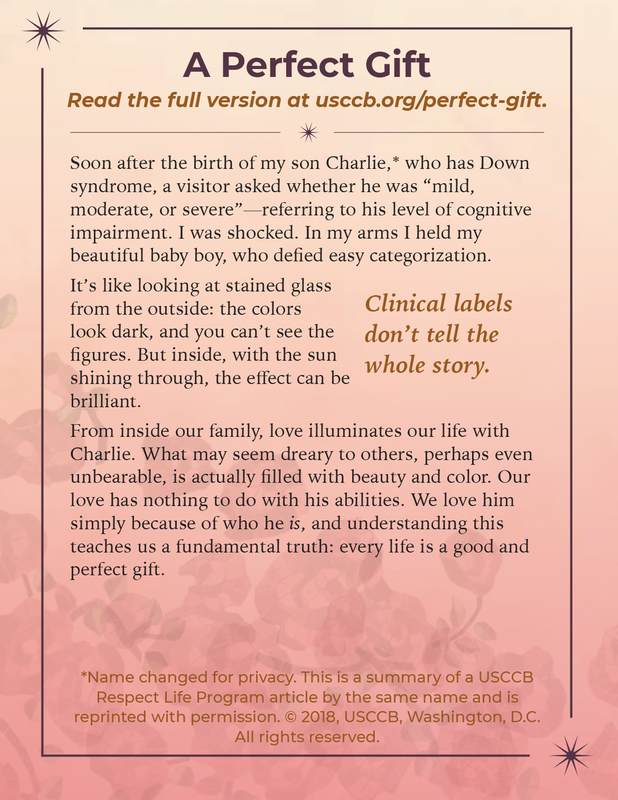 The 2018-19 Respect Life Program articles are available as 1/4 page abbreviated versions for use in church bulletins, e-newsletters, and more. These Microsoft Word documents each contain four formats of the bulletin boxes: MS Word text boxes, MS Word un-formatted text-only, color JPG files, grayscale JPG files. 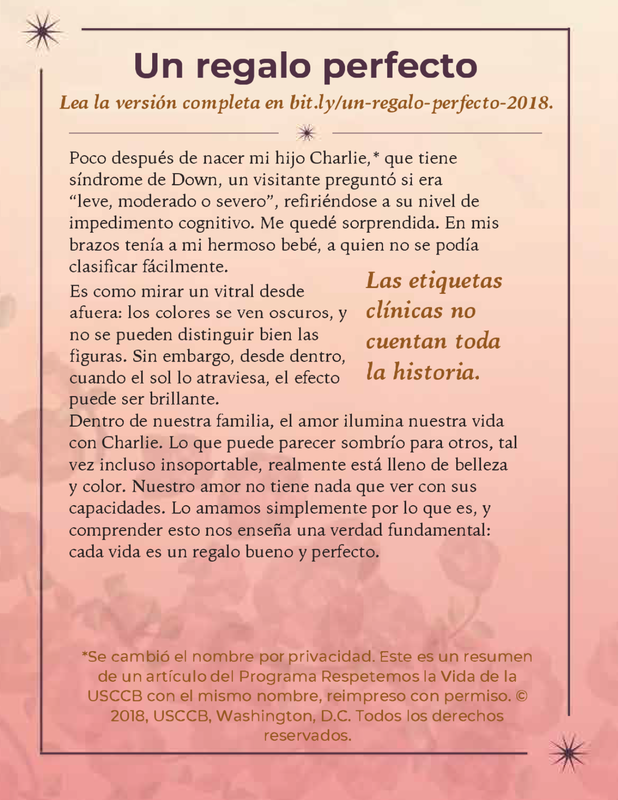 English and Spanish Publisher files with pre-formatted text boxes are available upon request. Please email prolife@usccb.org. You are welcome to use and reproduce these and many other images, provided they are reproduced in their entirety without any alteration or change beyond adjustment in size. 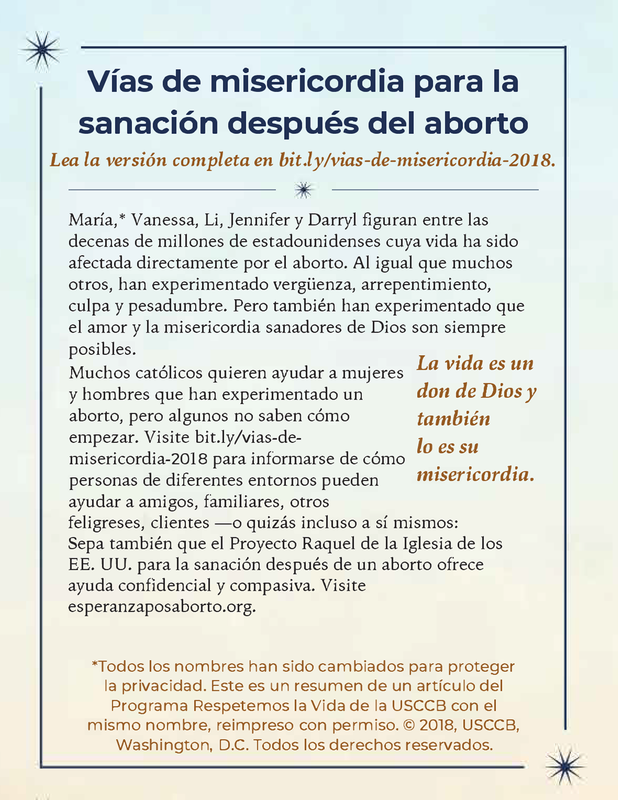 You can use as your cover photo and profile picture on social media, reprint in your bulletin, include with one of the new articles in your diocesan newspaper, or use them in another way to share the Gospel of Life. Have an innovative idea for how you'll use them? Let us know at prolife@usccb.org!